Samsung has finally begun rolling out the Android 4.0 Ice Cream Sandwich update to some users of Galaxy S II phones. Asian and European owners are the first in line to receive it, or anyone with the international version of the device. However, in the U.S., where carriers customized their version of the phone, there’s no word yet of when users will get some Ice Cream Sandwich on their devices. The first lucky users to get the update today are in Korea, as well as Poland, Hungary and Sweden. Samsung didn’t give specific details on availability dates for the update in other countries. It’s likely the software update is now with U.S. and European carriers, which have to test it before it becomes widely available. Usually, this process can take up to several weeks. Carriers also play a role in whether your specific model of the Galaxy S II gets the Android 4.0 upgrade, Samsung explained: “The availability and scheduling of the software update and specific models upgradable to Android 4.0 will vary by market and wireless carriers’ requirements.” Google released Android Ice Cream Sandwich in October 2011. The software update is done via Samsung’s Kies software, but impatient users can get ahead of the pack by manually updating their devices now with this European build of Ice Cream Sandwich for Galaxy S II via these instructions on the XDA developers forum. The most notable change in Android 4.0 is that new devices running the OS do not require the four Android hardware buttons anymore, replaced by contextual software keys. Other new features include face unlocking and Android Beam sharing over NFC (for NFC-equipped devices). See PCWorld’s User’s Guide to Android 4.0 for more details. Other Samsung Galaxy devices are set to get Android 4.0 “soon,” too, Samsung said. This includes the Galaxy Note phablet, The Galaxy S II LTE and the Galaxy Tab 8.9 and 10.1 tablets. Older Galaxy devices won’t get Android 4.0 though. Instead, they’ll get the Gingerbread version of Android. 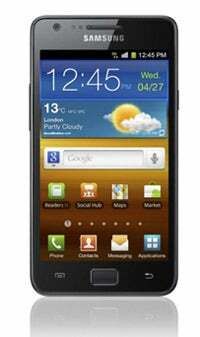 Those devices include the Galaxy S, S Plus, and Tab 7, adding new features such as Face Unlock and photo editor.